There are Samuel Beckett fans out there who worship every word the brilliant playwright/author wrote, and there are Bill Irwin fans who have followed his career through the years as he’s intertwined clowning and serious acting with nothing short of pure genius. If you happen to be a fan of both of these fascinating men, you cannot miss the San Francisco American Conservatory Theater’s current production of Endgame and Play—penned by Beckett and brought to hilarious tragic life by Irwin. 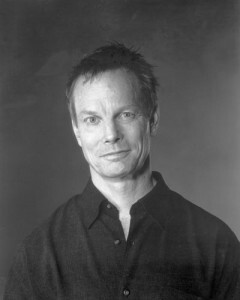 Bill Irwin is perhaps best known for his skills as a clown, as he has created and collaborated on a number of stage shows and worked extensively with the Pickle Family Circus. He adapted Molière’s Les Fourberies de Scapin into Scapin and starred several times in the title role, most recently in A.C.T.’s 2010 production in San Francisco. When I saw that performance I was again amazed at the fluidity of Irwin’s physical humor—he can literally bend his body like a trapeze artist just while walking around onstage. You see his training as a clown in every inch of his movements; in front of your very eyes he becomes the real-life cartoon character who slips on the banana peel. Irwin is also known for his roles in film, his work with other prestigious actors (like Steve Martin and Robin Williams), and the numerous awards he’s won (he was a Guggenheim Fellow and also received OBIE and Tony awards). But his dedication and relentless interest in the life and works of Samuel Beckett is what I find most impressive. I first saw Irwin perform in Seattle in 2002, when he did Beckett’s Texts for Nothing at the Seattle Repertory Theater. Irwin did the interpretation of the work and also starred in the show. As I sat reading the program notes before the performance began I was excited and astonished to learn that Irwin had traveled to meet Samuel Beckett himself just a couple of years before Beckett died. His account of how both he and Beckett were so shy and self-conscious in each others presence really moved me. At that moment I made a mental note to see Bill Irwin perform—in any show—whenever I could. Endgame and Play is directed by Carey Perloff and combines two of Beckett’s most intriguing works into one extraordinary event, both featuring Bill Irwin. Performances run from May 9—June 3, 2012, and for those watching their budget A.C.T. is offering a special “Pay What You Wish” evening. Patrons are requested to bring non-perishable food items to take advantage of this offer, limit two tickets per person. All items will go to the San Francisco Food Bank. Preview tickets also may be available at a discounted price May 10—May 15. A.C.T. is located in the heart of downtown San Francisco’s theater district, blocks away from most hotels and the Powell Street BART station.